In an article entitled "How many species are there on earth?" in the September 16, 1988, issue of the journal Science, the eminent and influential scientist Robert May (now Lord May) observed, almost with a tinge of regret, that the Order Proboscidea topped the list of the number of articles per species of various animal groups that were published annually during 1978-1987. 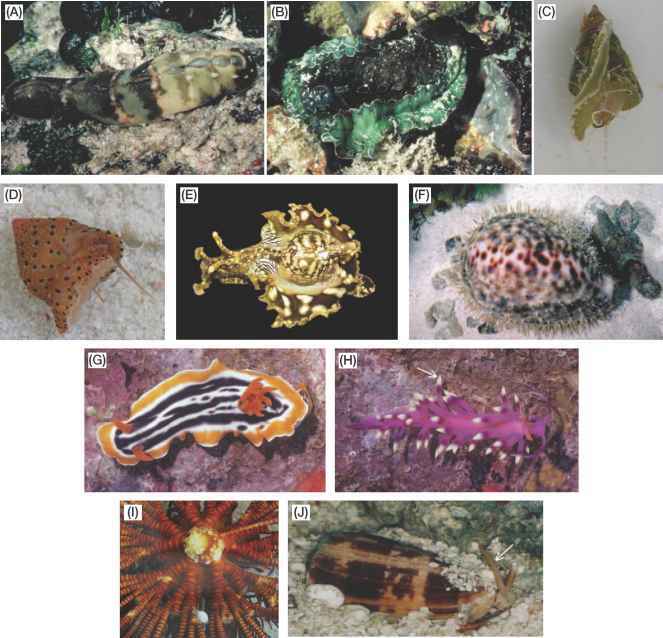 The message of his article was that the study of the vast diversity of smaller-size organisms was being neglected in favor of the larger vertebrates. The recent genetic evidence for two species of African elephants, and the claims of a possible third or even fourth species of African elephant, would alter the articles-to-species ratio, but the Proboscidea would still maintain its top slot. Actually, I think that the defection of the few biologists who study creatures such as elephants and tigers to disciplines such as the classification of beetles would make little difference to our knowledge of beetles but considerably erode our understanding of elephants and tigers, creatures that could act as flagships in conserving beetles and the diversity of our tropical forests. During the past 20-odd years, my own work as well as that of my research group has actually extended beyond elephants to communities of small and large mammals, rain forest birds, parasites, tropical plants, and even paleocli-mate. Yet, in some strange fashion the elephant has been the thread connecting many of these diverse themes—for example, the interaction between elephants and tropical plants, parasite loads in relation to mate choice, and the use of stable carbon isotopes in studying the elephant's feeding habits as well as in reconstructing past climate change. This echoes Wendy O'Flaherty's observations of the elephant-headed god: "One can start from Ganesa and work from there in an unbroken line to almost any aspect of Indian culture." Some years ago I realized that, in spite of the considerable numbers of articles and books on elephants, there was hardly any volume that provided a broad synthesis of their biology within the framework of modern evolutionary theory. Most of the books either pertained to individual studies of African or Asian elephant populations or were pictorial books (usually with pictures of wild African elephants and captive Asian elephants). This is why I embarked upon this project. I have also tried to provide a better balance between studies of Asian and African elephants than is available in most other volumes. When I began writing this book I had not even planned for a section on the molecular genetics of elephants, as hardly anything was known of this subject; with the rush of articles in recent years this section had to be added. Very soon this part will certainly become hopelessly outdated. I owe many debts of gratitude to professional colleagues, students, friends, and family for their help and support over the past two decades in making my research and writing possible. I begin by thanking colleagues who reviewed various chapters of this book: Adrian Lister (chapter 1), Mahesh Rangarajan (chapter 2), Bets Rasmussen (chapters 3 and 4), Richard Barnes (chapters 5 and 6), Niranjan Joshi (chapter 7), and Richard Hoare (parts of chapter 8). Needless to say, any errors or omissions are entirely mine. The late V. Krishnamurthy was always a source of inspiration, wisdom, and support. I was fortunate to spend many, many hours in his company watching elephants or listening to his elephant tales. D. K. Lahiri-Choudhury and I spent long hours discussing and arguing about elephants; this has enriched my knowledge of elephants considerably. J. C. Daniel, the first Chair of the IUCN/ SSC Asian Elephant Specialist Group, and his successor, Lyn de Alwis, provided support at important junctures. Charles Santiapillai has been a pillar of support (laced with his special wit) as we presently guide the activities of the specialist group. Jacob Cheeran's calm and reassuring presence has been vital to the success of our radio-telemetry studies, and so has Subrata Pal Choud-hury's skills in guiding a dart accurately through the foliage of a rain forest on to an elephant's back. Vivek Menon and Ashok Kumar have been steadfast companions in several elephantine (and some nonelephant) ventures, while Tom Mathew has provided us support at crucial moments (and gently nudged us into action when we were in slumber). Many other colleagues in India and abroad have chatted about elephants and other organisms, been companions on jungle trips, and have helped in many ways. They include, in no particular order, Anindya Sinha, Ullas Karanth, Vi-jayakumaran Nair, P. S. Easa, A.J.T. Johnsingh, Adrian Lister, Chris Wemmer, Bets Rasmussen, Heidi Riddle, Lynette and Ben Hart, John Sale, Peter Jackson, Hezy Shoshani, Steve Hubbell, Rick Condit, and Liz Losos. R. Ramesh has been a long-standing collaborator on elephants and climate change. Lalji Singh, Pruthu Fernando, and Don Melnick have been generous in our collaborative work on elephant genetics. I have also drawn upon the work of many other colleagues in India and elsewhere for this treatise. In India they include Parbati Barua, Anwaruddin Choudhury, Sushant Chowdhury, Hemant Datye, Ajay Desai, Justus Joshua, Ramesh Kumar, N. Sivaganesan, and Christy Williams. Elsewhere in Asia they include Mohd. Anwarul Islam (Bangladesh), Aster Zhang (China), Jayantha Jayewardene (Sri Lanka), Widodo Ramono and Bambang Suprayogi (Indonesia), Hideo Obara and Masayuki Sakamoto (Japan), Mohd. Khan, Jasmi Abdul, Mohd. Shariff Daim, and Zainal Zainuddin (Malaysia), Khyne U Mar, U Uga, U Aung Than, and U Ye Thut (Myanmar), Mattana Srikrachang, Grishda Lung-ka and Richard Lair (Thailand), and Nguyen Xuan Dang and Tran Van Thanh (Vietnam). Joe Heffernan, Joe Walston, and Gert Polet have filled in important gaps for the Indochina region. IUCN—The World Conservation Union—has provided the opportunity for me to discuss elephants in a structured manner with specialists from Asia and other continents. I thank all my colleagues who have volunteered to be part of the Asian Elephant Specialist Group. George Rabb, former Chair of the IUCN's Species Survival Commission, provided tremendous encouragement, while his successor David Brackett has continued to put faith in me. Simon Stuart played an important role in shaping the activities of the Asian Elephant Specialist Group, a role that is now taken over by Sue Mainka. Ulie Seal and Bob Lacy of the Conservation Breeding Specialist Group introduced me to the world of Population and Habitat Viability Analysis. Several researchers and conservationists who work mainly in Africa have discussed their studies, hosted me, or provided ideas. They include Eve Abe, Richard Barnes, Holly Dublin, Iain Douglas-Hamilton, Richard Hoare, Paula Kahumbu, Malan Lindeque, Cynthia Moss, Steve Njumbi, Loki Osborn, Katy Payne, Joyce Poole, James Powell, Martin Tchamba, John Waithaka, and David Western. Since the early 1970s I have had the good fortune to interact with and share the field experiences of a large number of forest officers in various states across India. It would be too cumbersome to mention each of them by name but the states they hail from include Tamilnadu, Karnataka, Kerala, Andhra, West Bengal, Uttar Pradesh, Uttaranchal, Jharkhand, Orissa, Assam, Megha-laya, and Arunachal Pradesh. I should, however, mention those responsible for running India's Project Elephant at the Ministry of Environment and Forests, New Delhi: the late S. Deb Roy, Vinod Rishi, Kishore Rao, S. C. Dey, and S. S. Bist. I have gained much in discussing elephant conservation matters with them. My graduate students, post-docs, and research assistants over the years have made rich contributions to ecological thinking and investigations. Milind Watve thought creatively about elephants, other mammals, and their parasites. C. Arivazhagan and R. Arumugam have followed and registered these elephants and other mammals over many years. Surendra Varma trekked the Asian jungles in search of their elusive elephants. Mukti Roy, Guha Dharmarajan, A. Mathivanan, and N. Baskaran have tenaciously radio-tracked the elephants of West Bengal. Truptha Purohit and Uma Ramakrishnan ( Jr.) initiated the work on elephant genetics, while T.N.C. Vidya has comprehensively followed up this line of work. H. S. Suresh, H. S. Dattaraja, K. S. Murali, and Robert John have followed the life history of thousands of trees that sustain elephants. Cheryl Nath has made a successful transition from watching elephants to modeling the growth of trees that provide them shade. T. R. Shankar Raman has begun chasing elephants after completing his dissertation on birds. Kartik Shanker took brief moments off his work on small mammals to watch the largest mammal when it appeared at his study site. Geeta Rajagopalan and Indrani Suryaprakash thankfully kept a safe distance from elephants when they worked on climate change. Venkatesa Kumar, K. Narendran, Kumaran Raju, and R. Saandeep have provided important GIS support. A. Madhusudan has effectively mobilized people in keeping elephants away from their crop fields. Uma Ramakrishnan (Sr.) and J. A. Santosh executed the Periyar poaching model. Gauri Pradhan quickly and competently tackled the problem of tusk inheritance in elephants. K. Manavalan, C. M. Bharanaiah, K. Palani, R. Mohan, and S. Nagaraj have provided logistic support to our team, while trackers Setty, Shivaji, K. Krishna, B. Bomma, and K. Siddhan have kept us all out of reach of the trunks and tusks of elephants. Arun Venkataraman has enacted several roles—from observing wasps to pursuing dholes; the one most important for elephants (and for me personally) has been to organize and run several programs of the Asian Elephant Research and Conservation Centre. M. O. Sriram has ensured that order prevails over chaos in the functioning of an organization. As with my earlier books, S. Nirmala organized the entire manuscript from my handwritten script. Her assistance has been invaluable in piecing together the contents of this book. In the final stages of production, Joshua David's careful reading picked up several errors I had missed. My faculty colleagues at the Centre for Ecological Sciences, Indian Institute of Science, have contributed to a stimulating intellectual atmosphere. Mad-hav Gadgil not only guided me through my doctoral research, but has since maintained interest in my work. Niranjan Joshi has provided key insights and support on a variety of issues, quantitative and nonquantitative. Vidyanand Nanjundaiah has been a source of knowledge on everything from genes to evolution. N. H. Ravindranath has made it possible for me to move from past climate change to future climate change. I owe my original interest in natural history to the "Adyar Naturalists Club," although now depleted and dispersed. R. Selvakumar has continued to maintain active interest in my work in spite of migrating to the other side of the globe. A. N. Jagannatha Rao, the only member still rooted to Adyar, and S. T. Baskaran, who has recently completed a round-trip migration, continue likewise. The late Siddharth Buch and the late M. Krishnan helped me not only to refine my photography but also my natural history observations. Many colleagues and friends readily provided photographs that I could not dig up or match in quality from my collection for this volume: Adrian Lister, Richard Barnes, D. K. Bhaskar, M. Y. Ghorpade, Ben Hart, Richard Hoare, Paula Kahumbu, Adrian Lister, Vivek Menon, Katy Payne, T.N.A. Perumal, Bets Rasmussen, Rei Rasmussen, S. Wijeyamohan, and the Karnataka Police Department. A. G. Ryan and D. K. Bhaskar assisted with preparing the photographs for publication, A. V. Narayan prepared many of the figures, and J. Ramesh sketched the drawings of extinct proboscideans. Michael Long kindly permitted me to reproduce two of his drawings, and Hezy Shoshani likewise allowed me to use a drawing from one of his articles. I thank several publishers for permissions to reproduce material from their books and journals (individually acknowledged in the respective figures or tables). These constitute an important part of this volume. While every effort has been made to contact copyright holders for permissions to reproduce material, any omissions will be rectified in subsequent editions. Kirk Jensen, my editor at Oxford University Press, has been patient through the three elephant gestation periods it has taken for me to complete the book. My work has received funding support from many agencies, institutions, and foundations. The Ministry of Environment and Forests of the Government of India has provided core support for much of the broader research program on conservation biology in southern India over the past 15 years. The Forest Department of West Bengal funded the first phase of our research in their state. Wildlife Trust (U.S.A) has been the major international partner and supporter of the Asian Elephant Research and Conservation Centre. The John D. and Catherine T. MacArthur Foundation, the Liz Claiborne/Art Ortenberg Foundation, Dr. Scholl Foundation, U.S. Fish and Wildlife Service, Rotterdam Zoo, World Wide Fund for Nature, Fauna and Flora International, and Scientific Exploration Society have all provided significant support. My late parents were broad-minded enough to let their son wander the jungles. I am grateful to my wife Sudha who continues to not only endure my frequent absences from home but also the long bouts of writing when I am at home; I also thank our elder daughter Gitanjali for promising to illustrate my next book, and apologize to our younger daughter Hamsini for the bedtime stories she missed. I owe special thanks to a wonderful organization for their enduring support over the past 8 years and for ensuring that this book did not exceed three elephant gestations. Wildlife Trust, U.S.A., supported my sabbatical year (2001) and that enabled me to complete a substantial part of this manuscript. While I thank all the staff of Wildlife Trust for their help, my special thanks go to Mary Pearl and Fred Koontz for this enduring support.